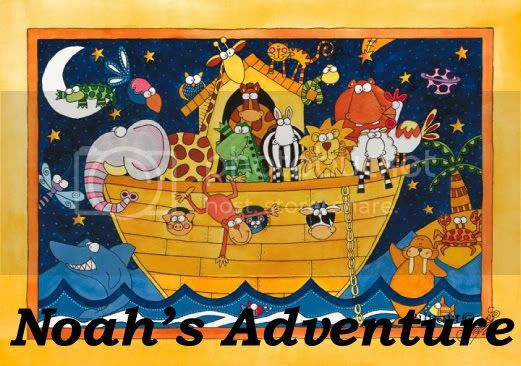 Noah's Adventure: Happy Birthday Noah! Oh, how you are a miracle before my eyes. Since the moment you came into my world you have taught me more about Love than I ever dreamed possible. I have learned about sacrifice, and gratitude, and faith, and hope. How is it possible for one little man to teach his mommy so much? Is it because you have the heart of an Angel? Because you do? Did you know that? Did you know that when you were born, your little heart was so sick. But it wasn't your time to go back to Heavenly Father. So a loving family gave you a new heart when their baby went home so you could stay here with us. It's important that you know this. So you can live a life worthy of this wonderful gift. I'm not worried that you will. Because you are the sweetest little man I have ever met. And if there was anyone worthy of an Angel Heart it is you, my son. Never forget that I love you more than words could possibly say. Never forget how many people loved you before they even knew you. Never forget how many prayers were sent to Heaven just for you. And most of all, Never Ever forget that Heavenly Father loves you and has blessed you and will continue to bless you and He will always be there for you. You are a chosen spirit. Your life and your tender personality will touch the lives of many. I am excited to watch you grow up into the honorable man I know you will become. Happy Birthday my miracle baby. Today is a wonderful day. This is the day you were born. Yucky bili lights and only a few days old. First time mom got to hold you. I insisted they let me before Life Flight came to take you to Denver. Life Flight getting you ready to go. Your first picture in Denver. Daddy got to hold you before he went back home to Salt Lake. A few days after you got your new Angel Heart. 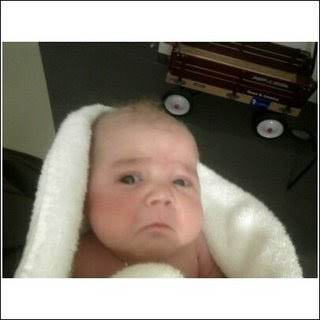 Bath time with Daddy at the Ronald McDonald House. We took the Oxygen off just long enough to get a picture of your pouty face. You grew up so fast and got even cuter. How is that possible!! Look at you move? You are my miracle bundle of joy!! Crystal, you sure know how to make a girl cry! This was the most precious post yet! I felt as if I was re-living all the raw emotions I felt you go through this past year. All the emotions I personally felt were brought to surface once again as I scrolled through your pictures. I am just amazed at the miracles that are among us today! Then to top it off, little Noah is crawling! It's all just SO WONDERFUL! Thank goodness for the ANGEL donor family and a loving Heavenly Father who made this past year happen. I'm looking forward to the future with a smile and know that Noah is TRULY in God's hands! He has SO MUCH in store for him. He's gonna move mountains , that little man of yours! The love that is poured down upon us is amazing. The emotions of the last year coupled with the next week is sure to make anyone nuts! We are so proud of Noah and all he has accomplished. Over the last week since meeting Magoo the donor family has been on my mind. So much respect and admiration and gratidtude and RESPECT has passed through my heart. A special thanks to them and a huge amount of respect to ALL donors of life. Happy birthday Magoo! We love you! Love Tyler, Nancy and Uncle D! Happy Birthday Noah! You are a miracle and remember that everyday of your life. We are so proud of you and happy that you are happy. Happy Birthday Noah!!! What a wonderful miracle!!!!! A professional writer could have spent a month working on this, and not come even close to the honesty and love that come through in every word and every phrase. 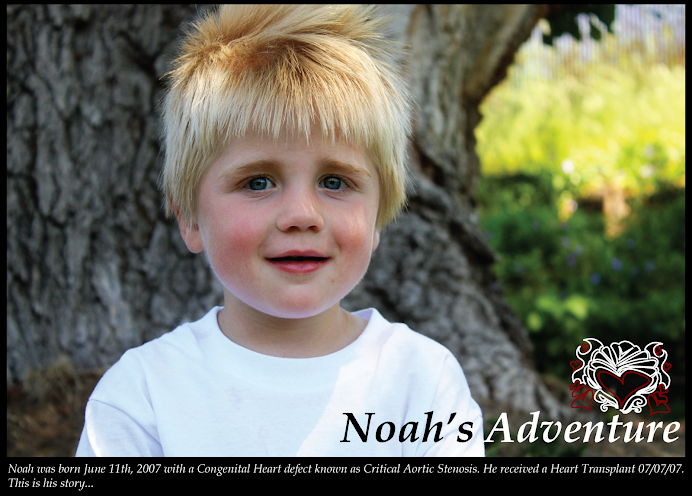 In years to come, both Noah and you will have the chance to look back on this post together and individually; it's not only a moving tribute both to Noah and his donor, it's also a testament to his mother's love and courage in the face of some pretty steep odds. 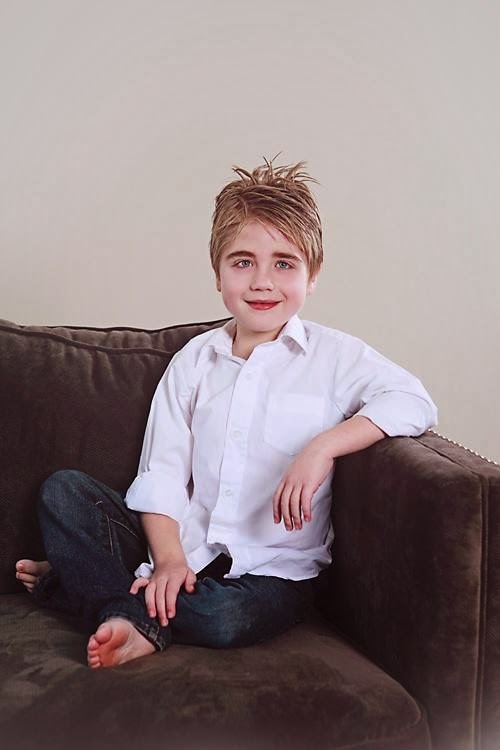 Your little guy isn't the only Transplant Warrior in the family. I have been humbled by receiving a Share the Love Award you started for your precious son. In accepting this award from Regina (http://reginasfamilyseasons.blogspot.com), I dedicated it to one of my childhood friends who passed away in 2005 as a result of a car accident. My friend was a loving and giving person - and all who really knew her was not surprised to learn that she was an organ donor. Thank God for those who give the gift of life even after they are gone. You, your family, and Noah will remain in my thoughts and prayers. hi, came here though the sharing the love award, your words are full of love & it brought tears to my eyes reading about ur journey with your son. i have just spent the last 3 hours reading your blog (long story as to why i have 3 hours on my hands). and even though i knew going in ur lil boy was healthy now, i still had so much fear reading your posts. i must have gotten up at least 10 times to ck on my lil guy and kiss him while reading. i truly hope everything turns out ok with his cath. and oh my is he ever a cutie! i just love the way his hair spikes out! you def have another devoted reader here! !